Isn’t it great to be Protestant? 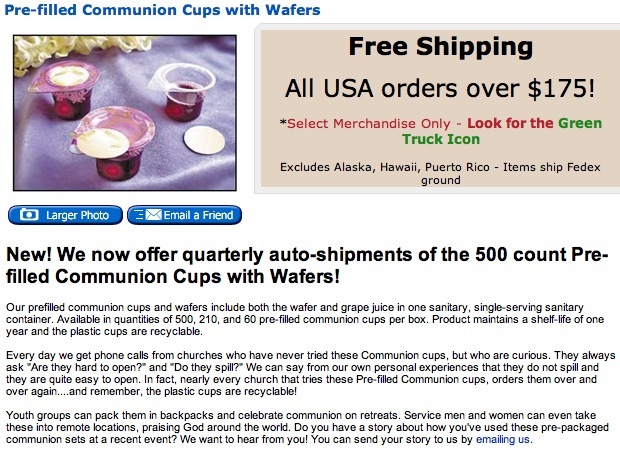 (chuckle) You can now take Communion safely with these nice prepackaged crackers and grapejuice. 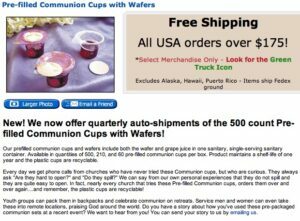 Just pull off the hermetically sealed top and “commune.” Yum! Boycotting Planned Parenthood Sponsors WORKS! Doug Scott, president of Life Decisions International (LDI), said in an email recently that he generally expects two or three corporations will stop funding Planned Parenthood and will be dropped from his Planned Parenthood boycott list between each updating. But the past few months have brought an unusually high number of corporations that have withdrawn their support for the abortion behemoth. 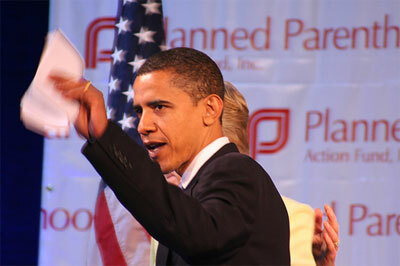 In fact, eleven companies were on the July 2010 list that have now ceased supporting Planned Parenthood. Cisco Systems, Dr. Dennis Gross Skincare, Enterprise, Forbes, Franchise Services, ING, Red Lion Hotels, Rolex, Toys ‘R’ Us, Kenneth Cole, and Trader Joe’s. This is the highest number of companies ever withdrawing support of Planned Parenthood between updates of the Boycott List. You should write to thank and support them! And remember, each time you raise your voice against the abortion giant, you may be influencing a corporation or a local community organization to stop funding this controversial, death-dealing organization. The latest edition of the Boycott List can be ordered online from Life Decisions International. No, the pope didn’t “rail” against giving un-Christian names to babies, but he did point out, calmly and correctly, that names are important, and that the choice of a child’s name should not be left to whim or fancy. There is, though—as is so often the case with news stories about the Church—a canonical aspect to this issue.